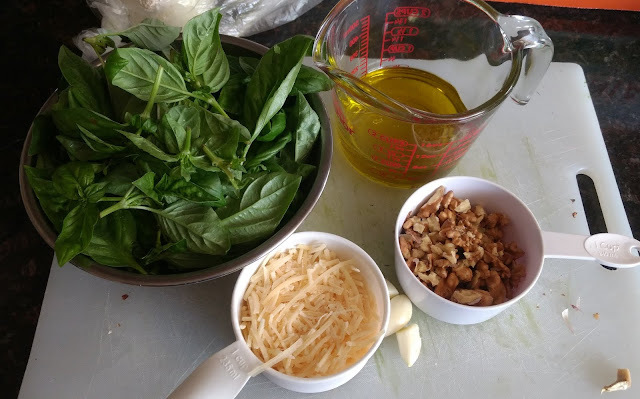 From today's harvest, I pulled quite a lot of basil in. 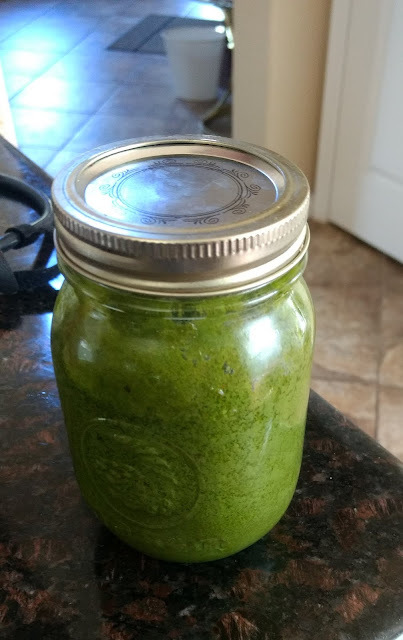 Since I still had some walnuts left over from a special gift last year, I decided to make some pesto. 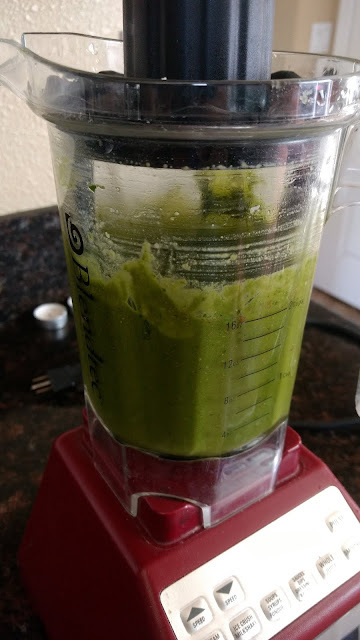 I used about 3 cups worth of basil leaves, 3/4 cup of extra virgin olive oil, 3/4 cup of Parmesan cheese, 3/4 cups of walnuts, and 3 cloves of garlic for this. Using my housemate's legit blender, this became delicious pesto in less than 1 minute. Now I have a nice jar of homemade pesto for festivities later tonight.